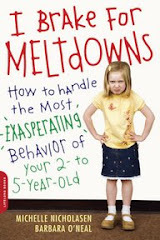 I Brake For Meltdowns: Rugged City Kids? I never competed in any kind of sport when I was young. I'm always trying to downplay the "competitive" part of the kids' soccer, swimming, and now...cross country skiing. The reason we joined this XC ski club on Saturdays was because of its low key approach to racing. We ski to have fun, I told them, you don't have to race at all. At the "Eastern Mass Bill Koch Ski Festival" in Pinkham Notch, NH, I guess they couldn't resist putting on a bib. Even my shyest, most intoverted daughter challenged herself in the 2 and 3km. They all finished in the last quarter of their pack, but they finished. Did they even realize they were up against a group of seriously rugged mountain kids from Maine, Vermont and New Hampshire? (Our jaws dropped when these little competitors flew out of the gate.) Geez, these kids probably ski to school every day with their books on their back.